Product prices and availability are accurate as of 2019-04-14 03:16:39 EDT and are subject to change. Any price and availability information displayed on http://www.amazon.com/ at the time of purchase will apply to the purchase of this product. 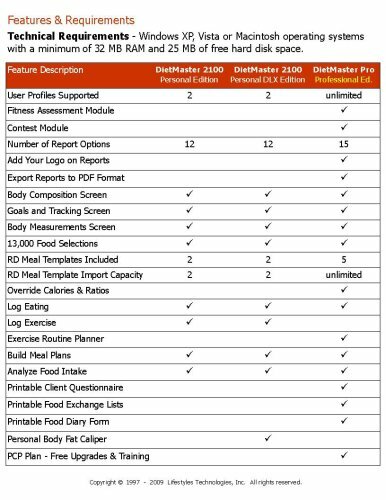 DietMaster 2100 v8 is like having your own private nutrition counselor! 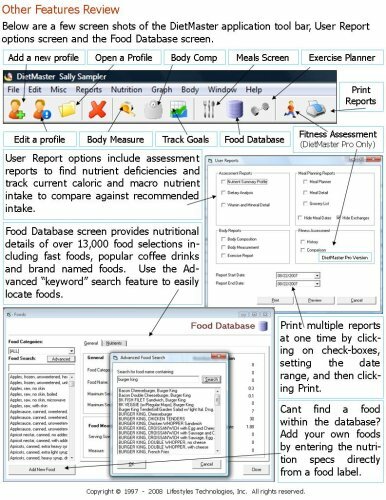 Quickly analyze & design your eating program or use ready-to-print recommended eating plans & grocery lists. 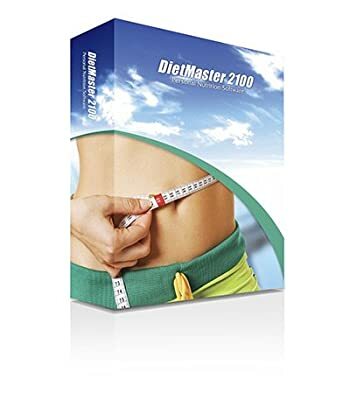 DietMaster 2100 includes 2 free low carbohydrate meal templates balanced to the typical calorie ranges needed for most men & women, or select from optional RD Meal Templates including Low Carb, Lean Bodybuilder, Low Cholesterol, Mature Women & more. 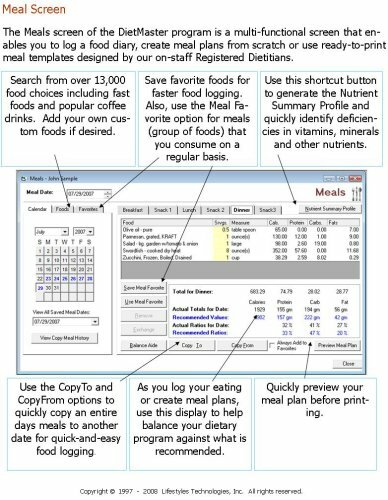 Ready to print low carb meal plans and grocery lists designed by a Registered Dietitian. Log food intake and log exercise to calculate calorie consumed vs. burned. Food database contains 13,000 selections including fast foods and coffee drinks. Download optional RD designed meal plans & grcoery lists including Stable Blood Sugar, Heart Healthy, Performance and many more. 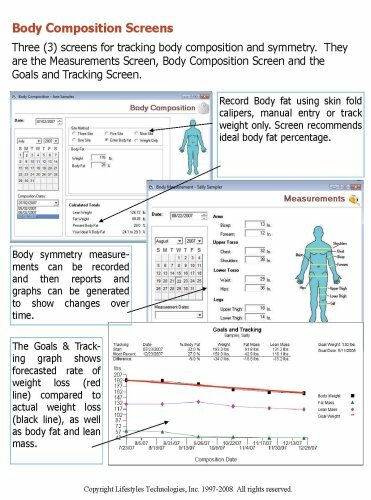 Reports to track weight goals, body fat, nutrient analysis and caloric trends.